Are you feasting your eyes on a riot of blossoms and colors this week? I stood under a purple crabapple tree with a class of preschoolers from CMCS and and we were covered in a “flower shower” as the wind swirled clouds of petals around us. 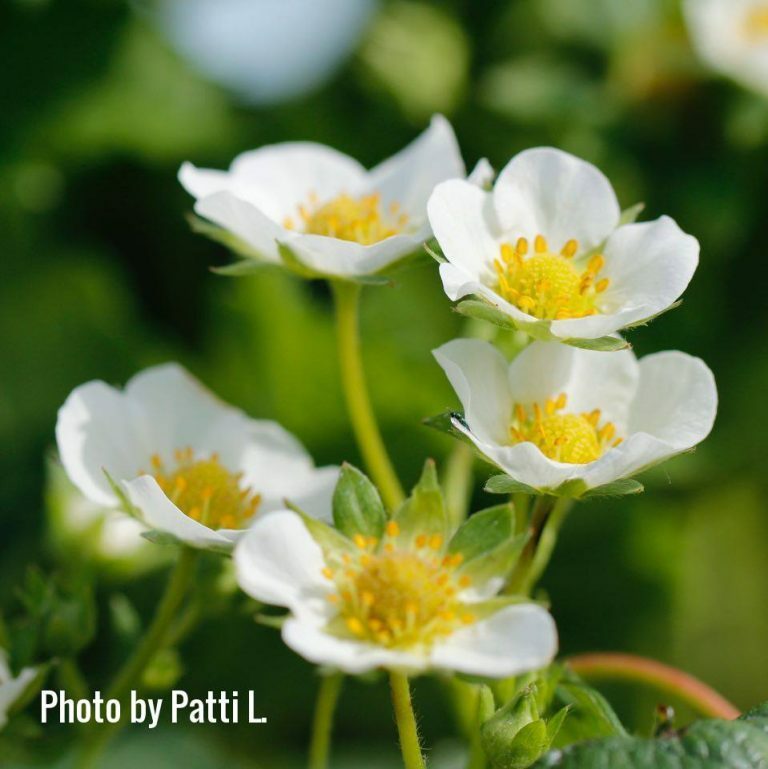 The strawberry fields are also beginning to flower, as seen in this wonderful photo by Patti L. This means that in about one month, you will be able to come to the farm! Make plans today to get juicy strawberries and a farm experience with your friends and family sometime between June 20 – July 10… exact dates uncertain, but swiftly approaching! 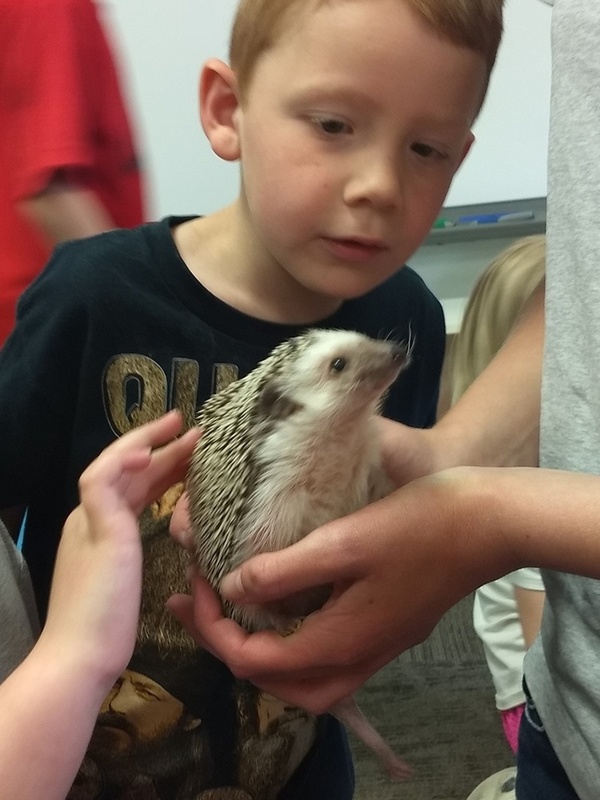 Oliver and Olivia the hedgehogs have joined our critter collection! Oliver is almost wider than he is long, and very suspicious of new people, but Olivia is dainty and sweet. This week, she allowed dozens of children to stroke her back! At first, Olivia rested quietly while the children took turns, but soon she started scrambling up Sarah’s arm to hide in her shirt and had to be pried loose to meet the rest of the kids. Lots of kids wondered if she could shoot pins at them, but were reassured by her quiet snuffling. Thank-you so much for your interest in our farm. We look forward to seeing you soon!